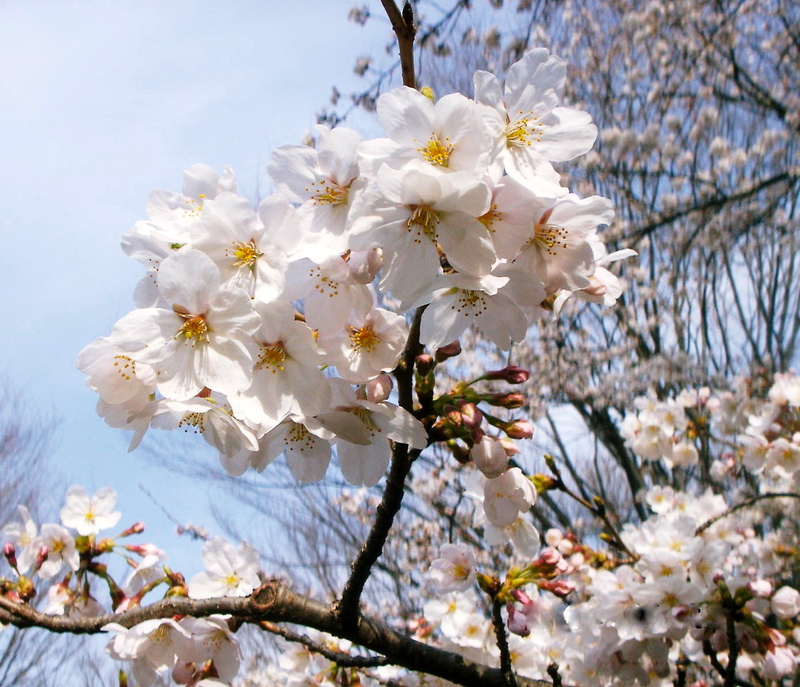 Hanami (meaning “flower viewing” ) is the Japanese custom of enjoying the cherry blossom, or sakura trees in their short period of bloom. 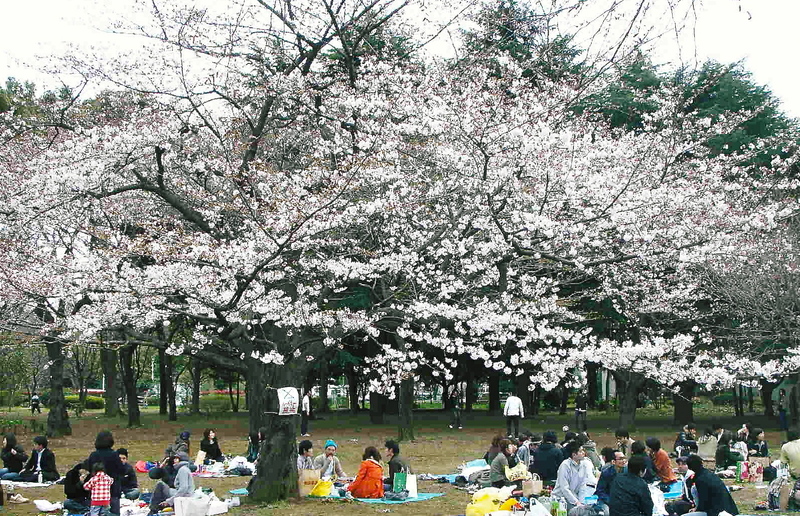 It involves a party or a picnic to sit and enjoy the transient blooms, often in parks and gardens. Quite simply, it’s a way to welcome spring and admire the fleeting, seasonal beauty of the Sakura tree whilst meeting up with friends, sitting on sheets of plastic and getting quite drunk under the trees. Many homeless people do this every single day, I imagine it’s not their first choice of activity in Tokyo’s icy spring air. Other strange individuals find this to be an appealing way to spend their free time, but it’s not really my cup of tea. I like to enjoy the beautiful but short period of the cherry blossom’s bloom in a more luxurious setting: no sitting on mats, no drinking from cans in the chilly March/April breeze, no crowded parks, no annoying drunk people. Sitting in the local park with 1000 other people? No thanks. Here is how to enjoy Hanami season in comfort and style – in Akasaka. Hie Jinja in Akasaka is one of Tokyo’s most important shrines with a history dating back to 1478, when the original structure was built in the Imperial Palace grounds. 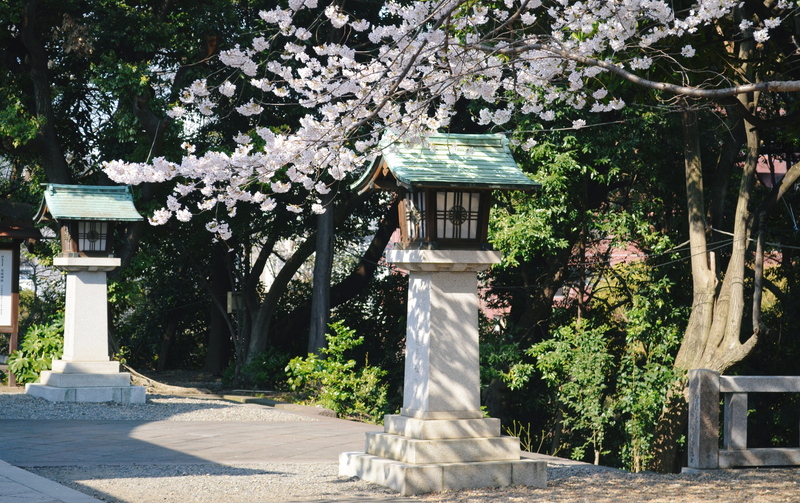 It has since been moved and rebuilt in the luscious grounds at Hie, next to the Capital Tokyu Hotel. Take a walk through the temple grounds, through the tunnel of red torii gates and admire the blossoms. Weekdays are, obviously, less crowded in this peak season. 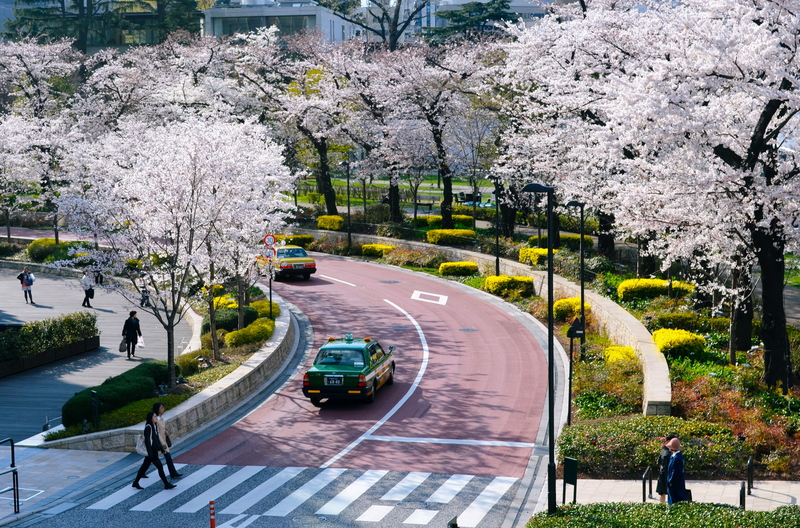 A short walk to Tokyo Midtown, a complex of high-end shops, restaurants, the Tokyo Ritz Carlton Hotel and extensive open grounds, will lead you to an entire avenue of cherry blossom trees known as Sakura Dori – quite stunning when they are in full bloom. Even if you go on a weekend there are plenty of trees for everyone and a luscious green lawn. People come from all over Tokyo dressed in their fine kimono, which is quite a lovely sight. 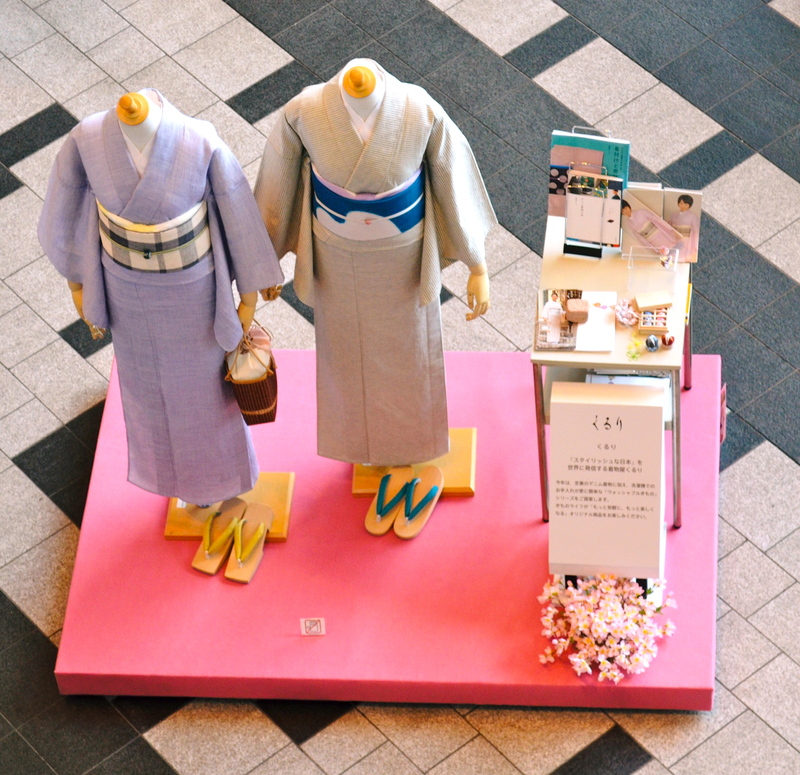 If you are taken with traditional Japanese dress, pick up a Kimono for the event at one of the shops. Be warned, these heavy silk gowns are usually made to measure and they are rather expensive. This year, the outdoor Martini Blossom Lounge has opened until April 20th along the Sakura Dori in Midtown. Operated by Ritz Carlton, the lounge seats 100 and serves bubbly, seasonal martinis and various fancy snacks. 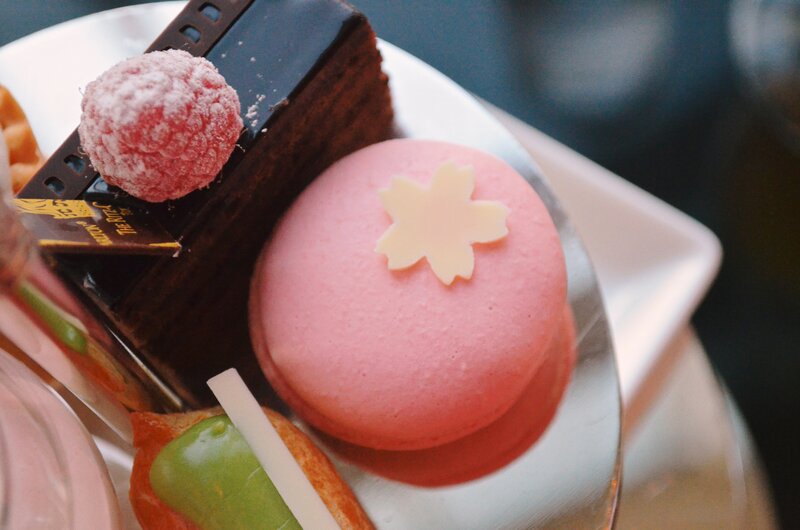 For a view of the cherry blossoms from above, try the Ritz Carlton Lobby Lounge on the 45th floor offers views of the blossoms for as far as the eye can see – don’t forget your camera. 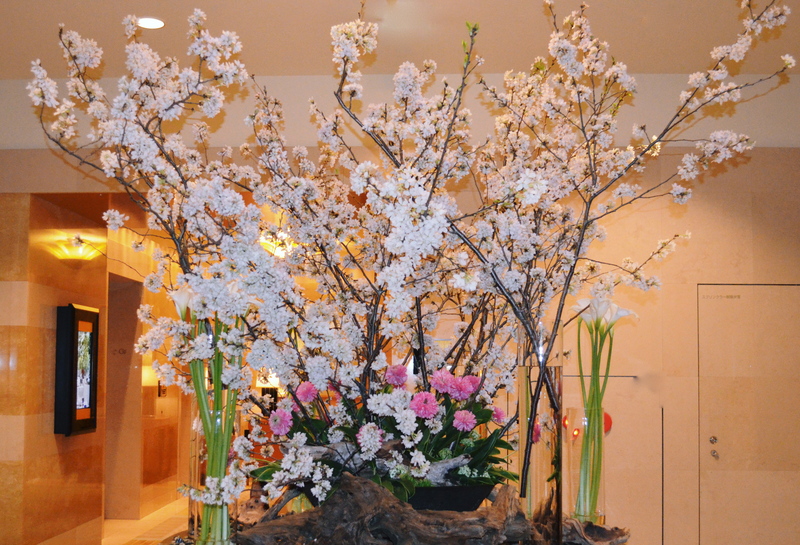 The Ritz Carlton goes all out for Hanami season with seasonal dishes, drinks and opulent flower arrangements. The Lobby Lounge surrounds a relaxing water feature and comfortable seats with spectacular views. This is my yearly routine, starting with a walk amongst the trees, heading inside for a view from the top when it gets chilly in the afternoon. I managed to avoid the crowds and still experience the beauty of the tiny blossoms before the delicate petals fall and drift along the breeze like snowflakes . Enjoy your Hanami season, however you spend your time. Oh that’s great, I hope you enjoyed the trip?